A must see, if you are looking for art to stir your emotions and fulfill your New Year’s resolution to bring more art to your life, is the de Young Museum located in Golden Gate Park. The de Young Museum was originally constructed as the Fine Arts Building for the 1894 California International Exposition or “World’s Fair”. After the expo closed, the building became a museum for the people of San Francisco. Since then, the museum has gone through several transformations. The most recent design wove historic elements from the former de Young, including sphinxes, original palm trees and the Pool of Enchantment, into a modern museum, that blends into the natural environment of Golden Gate Park. Patrons are provided with an open and light filled space that concentrates on American art, international textile arts and costumes and the art of ancient Americas, Oceania and Africa. According to The Art Newspaper the de Young museum is the sixth-most-visited art museum in North America, and the 35th-most visited in the world. The museum is open Tuesday through Sunday, 9:30-5:15. (excepting major holidays). There is a cafe, museum store and observation tower. They offer free general admission on the first Tuesday of every month and a public transportation discount. Hope you enjoy your visit to our site and the museum! 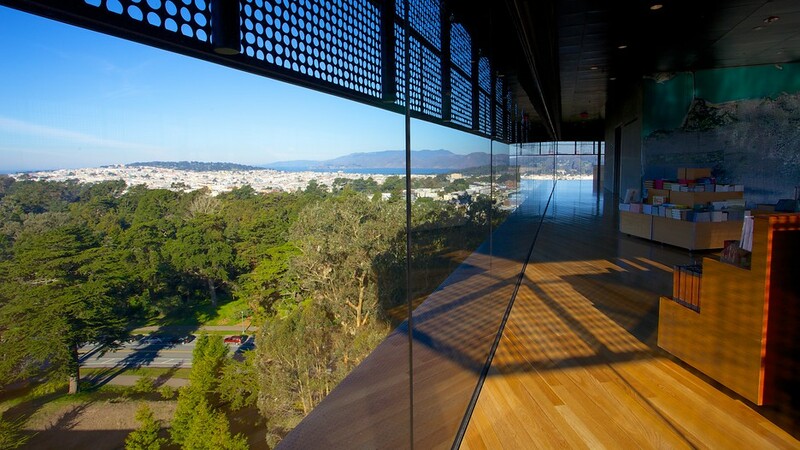 To see upcoming exhibits at the de Young, click here! Art Attack is your go-to for affordable Bay Area art class fun, offering many different art classes year round to residents of the San Francisco Bay Area and beyond. We offer Bay Area kids art classes for ages 5 and up with after school and weekend classes, as well as teen and adult art classes Monday through Saturday. We also cater to groups, parties, and more! Give us a call or book online, and we hope to see you soon!